Like many other neighborhoods in Lisbon, the city of the seven hills, the Santa Catarina area is completely constructed on elevated ground. This makes Santa Catarina property privy to one of the best views over the old historic city center and the blue waters of the river Tagus. This, combined with the buzz of many excellent restaurants and traditional bars make for a unique living experience in Lisbon. Santa Catarina properties are an excellent choice for anyone wanting to enjoy the many offers of a dynamic city center while savoring a luxurious view over the river Tagus. Santa Catarina apartments are currently being listed with an average of Average price per sqm. in Santa Catarina €6,169 0% properties#: 152 last change on: 19 Apr 2019 €6,169 per sq. meter. Additionally, several investment opportunities can be found here as well, for an average price Average price per sqm. in Santa Catarina €4,415 0% properties#: 43 last change on: 19 Apr 2019 €4,415 per sq. meter. The most renowned Santa Catarina real estate agencies are Remax, Century 21, JLL and Quintela & Penalva. Originally build as the historic route from the high neighbourhood of Principe Real all the way down to the Santos area, Santa Catarina’s mainstreet Calcada do Combro offers many beautiful facades. Here we find palaces transformed into art schools, guesthouses and cultural centres like the Palacio de Pombal, Braancamp Palace and Palacio Verride. 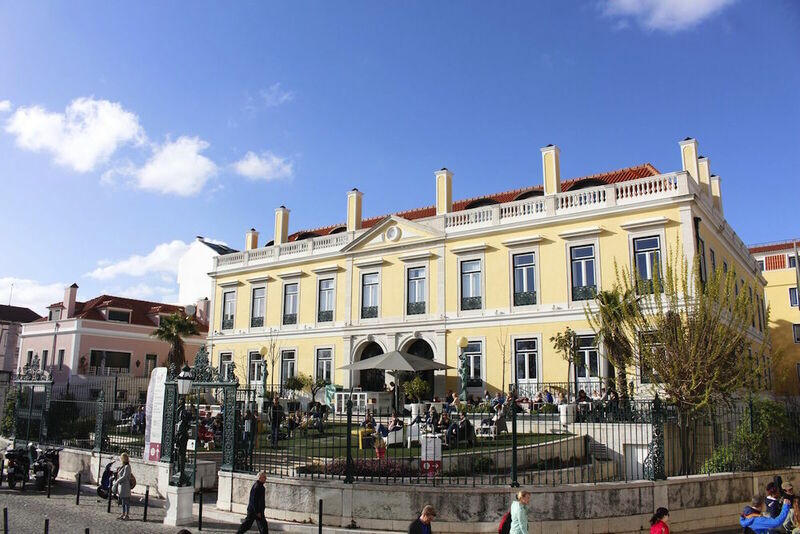 Home of many great Lisbon poets Santa Catarina breathes culture and history from the small narrow streets to the great open viewpoints. One of the most stunning spots to catch a full frontal view of the Tagus is at Santa Catarina’s Miradouro, locally known as Adamastor, after the mythical monster from Os Lusíadas, an epic poem written by the great Lisbon poet Luís Vaz de Camões. This urban hotspot is used by residents to enjoy a Sunday hangout with friends, watch a summer sunset or sit down for a refreshing afternoon drink. Miradouro de Santa Catarina with great panoramic river view. With many dance ateliers, theater and music schools the neighborhood stays true to it’s artistic past. You will find many classical buildings renovated for the modern age. Although parking might be difficult in these narrow streets in the city center there are parking lots available close by and many apartments have garages available. Always filled with life, living in the Santa Catarina neighbourhood makes you feel a part of the authentic Lisbon. 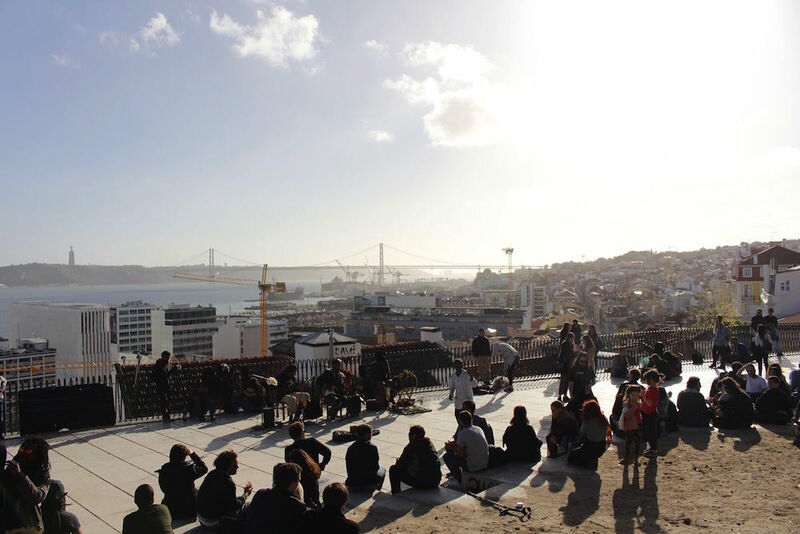 Santa Catarina residents love to walk down the iconic stairs to go for a bite in Bica, one of the most traditional parts of the Lisbon centre. Here you will find steep narrow streets with clothing lines hanging criss cross in the air while locals and visitors enjoy a nice authentic Portuguese meal. During the holy month of Santos in June, Bica is one the the areas where Lisbon residents come together to celebrate by eating grilled sardines and by dancing to traditional music. Surrounded by the lovely smell of fresh basil residents cover the streets with colourful decorative flags in honor of the Saint patron Santo Antonio. During the day you may see one of the oldest yellow trams going up and down one of the most beautiful streets in the world. The Elevador da Bica was constructed in 1892 to help local residents transport goods up and down the steep slippery slopes of Rua da Bica. The backstreets of Santa Catarina are still mostly occupied by Lisbon locals. From modest houses and local vegetables shops to larger apartments and chain supermarkets; Santa Catarina is the perfect mix. For those who want to experience the authentic Lisbon while making the most of the urban growth and rise of quality restaurants and accommodations should consider Santa Catarina as a great option. River view houses are plenty and local shops are easily accessible. Most roads are pedestrian-only and welcome many visitors like many of the streets in the centre of the city. 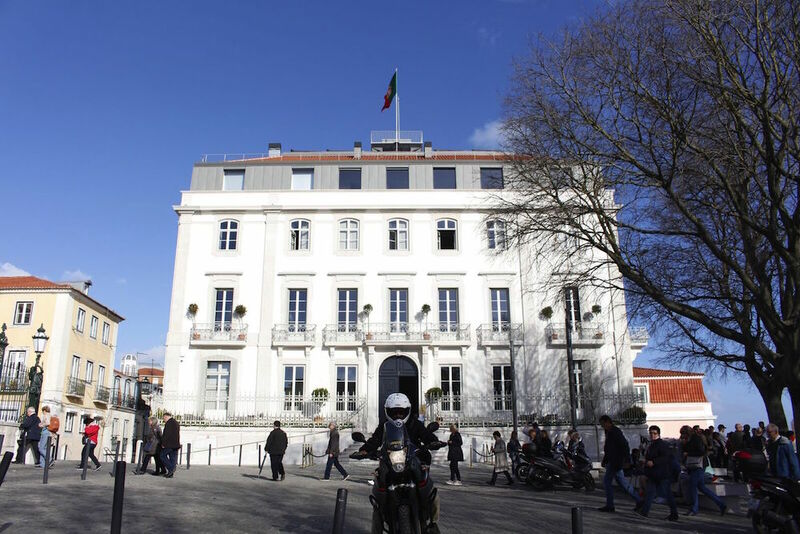 The Hospital de Jesus is walking distance as well as main transportation hubs like the Cais do Sodre trainstation and Baixa/Chiado metrostations. Those interested in leaving the city centre behind and exploring the beautiful city beaches the Lisbon area has to offer are in Santa Catarina in the right place. Santa Catarina property offers original architecture and modern renovations. The buzz of the inner city live and the great viewpoints make it a popular neighbourhood for locals and visitors. Come around and have a refreshment under the shadow of the trees at Miradouro de Santa Catarina or from your own Santa Catarina property with views over the sparkling water of the river Tagus.